Making books, their history and use have moved me for almost all my life. 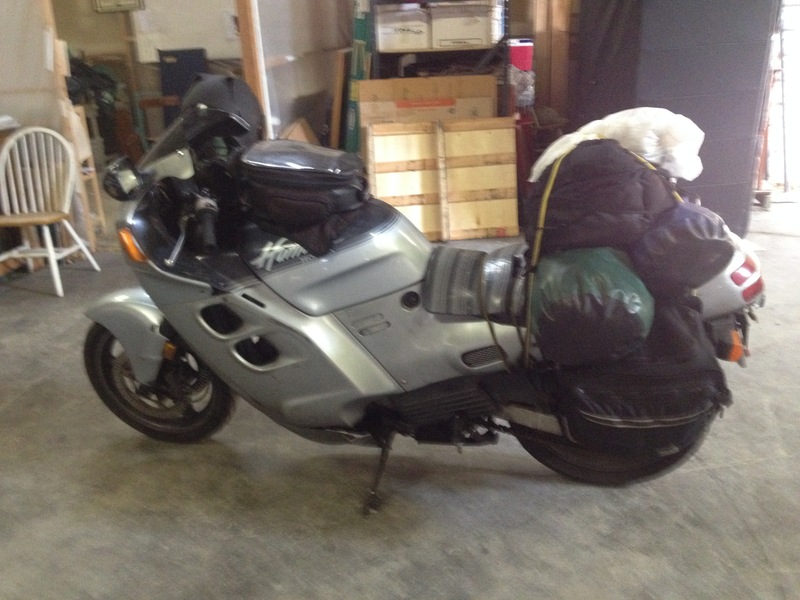 I also ride motorcycles and they move me in a different way, but both books and bikes have transported me to places I couldn't imagine before the journey began. I called up twenty three items and spent two happy days in the reading room of Princeton’s Firestone Library. There are ten separate collections in the Rare Book and Special Collections Division. While the reading room serves these collections, a researcher is dealing with 10 catalogs. Princeton makes it easy to search with its integrated catalog, but there are subtleties to the presentation and cataloging. My research before visiting showed that there were books that would be of interest, but I didn’t have a good idea of their holdings as searching a catalog by title is not an efficient way to do research. For a specific title, I used WordCat, noting what libraries might have it. This is an inefficient way of finding things as WorldCat is not always up to date or accurate. So, I missed a number of books at libraries along the way. I had no illusion that this trip would net a complete survey, but it was frustrating to come back and realize that I passed by institutions that held a book of interest. When I arrived at Princeton, I took some time with their online catalog to fill out call slips. The newly renovated reading room is well lit, with large windows that give the room a cathedral-like feel. Coming in and sitting down to look at material, there was no doubt that I was in a research library and not some open-plan office complex. The Graphic Arts 1535 copy of Ugo da Carpi’s Thesauro de scrittori was rebound in recent years. I had seen two copies (1525 and 1535) of this book at the Harry Ransom Center, and again at the Newberry (1535). WorldCat does the Texas or Princeton copies, thus creating another “hidden book” in two different libraries. A.S. Osley’s The variant issues of Ugo da Carpi’s T’hesauro de scrittori published in Quaerendo details the changes made in this early writing manual. 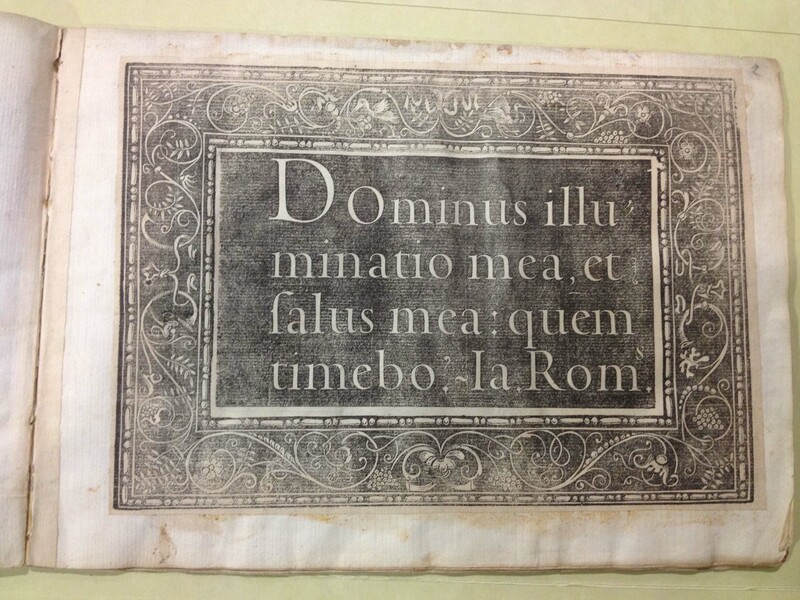 That da Carpi borrowed freely from Fanti, Arrighi, and Tagliente is well known, and Osley’s article from 1972 delineates typesetting and plate order changes in the three dates the book was issued: 1525, 1532 and 1535. His description is so detailed that the Graphic Arts cataloger was able to determine which issue (“Designated as “first issue” of this edition in Osley, …”) they own. Should you wish to travel down a bibliographic side alley, read his Quarendo article, and try to keep in mind which issues you’ve seen at any given institution. It’s a bit much to keep straight in one’s head. da Carpi wasn’t the only book on my list, so I moved on to Albrecht Dürer’s geometry book with a section on constructed capitals. Princeton’s copy of Albertus Durerus Nurembergensis pictor huius … is in good shape, sewn on split thongs, laced onto pasteboards. The covering material has been lost, but the book is still intact. This copy was owned by Stanley Morison, whose research and opinions dominate the field of writing manuals, type design, and history of printing. Dürer first published his book in 1525 at a time when writing manuals were just beginning to be published. Italian writing masters teach scribes how to write with a quill pen. Ugo da Carpi’s book is mostly a compendium of instruction by other writing masters while Dürer’s book includes geometric Roman capitals that would be used for inscriptional purposes. There are constructed gothic and rotunda minuscules in da Carpi’s work, but no capitals. The instructions that Dürer gives on how to make the Roman capitals is not strictly a writing manual, but it involves instructions on how to construct these forms using a compass and a square. Dürer’s instructions are familiar today in the book Of the Just Shaping of Letters. My time in Washington, D.C. had come to a close. After breakfast with my nephew Josh, I got on the road north. Well, almost North. I had a little fun with the toll roads in Maryland, getting onto one that required a toll reader that I didn’t have. There’s a ticket I didn’t plan on. Mid September along the Atlantic coast can be beautiful. I had experienced rain a week before while riding up from Richmond, but my ride this morning was fresh and crisp. Just a little cool – the summer’s heat having lost it’s intensity for the moment. I was still used to 95 – 100º weather, so the coolness of mid 70º air was welcome. Riding through Maryland along Chesapeake Bay and Delaware on I 95 is not necessarily a breath-taking ride, but it was pleasant on this particular day. My destination, Winterthur, DE is only 100 miles from my buddy, Mike’s house, so this would be a short ride compared to my previous traveling legs. Most people think of Winterthur as a decorative arts museum. That’s because it is “the premier museum of American decorative arts.” Writing manuals are not necessarily decorative arts, but they do fit naturally into Winterthur’s collecting scheme because engravers, weavers, coach builders, and other craftspeople were called upon to include lettering in their decorative efforts. An engraver needs a sample alphabet on which to base the engraving. Monograms in bespoke items required a lettering guide for the artisan to follow and writing manuals often contained various lettering styles as guides. After the invention of printing from moveable type, writing was still the primary means of recording unique or limited copies of master documents. However more opportunities for letters to be decorative arose with the freedom gained by mechanical reproduction of texts. This decorative trend can be seen in the earliest writing manuals. Writing masters were providing models for these craftspeople from the start. By the colonial period, copperplate engraved writing manuals illustrated a multitude of exemplars targeted to non-scribal purposes. Winterthur’s collection of writing manuals focuses on the 19th century American manuals, many of which were produced by the relatively new process of lithography. However, some were produced in the 18th Century and hail from Europe. Double nibbed quill pen at B & C. Courtesy, the Winterthur Library. One such, Calligraphia regia konigliche Schreib Feder shows an illustration of quills cut at different angles for different hands. In one, there is a quill with two tips, showing how one quill nib is slipped over the other quill and rotated to create a double or outline letterform. I’ve seen illustration of a two-line letterform but didn’t know how this was accomplished. This illustration is the first that I’ve seen to show a simple, effective method for making a split line letterform in one stroke. Decorative lace-like letters were all the rage in the 18th century, and they were quite ornate. Engravers may have used these as models for working silver or gold with an inscription. In this manuscript model book, there were many alphabets of various types, and single letters filling one page each. Colorful blackletter, courtesy of the Winterthur Library. And this colorfully whimsical page was a delight. The more ornate and decorative nature of these writing manuals shows a progression of the uses of writing manuals and clearly shows off letters as things worth looking at just for their beauty. By the 19th century, there is a broadening of focus as to audience as demonstrated by this book. Now even Ladies should know how to write well as Miss Caroline Dashwood. She probably used a steel pen rather than a quill. Having made it to Winterthur mid-day I only had about 3 hours to look at books and I decided that I’ll have to come back for a longer is it. I’m breaking the mostly-chronological nature of the story to report that I’ve made it back to Oakland, CA. I returned last Thursday and am getting re-acclimated to being off the road and returning to a daily routine. 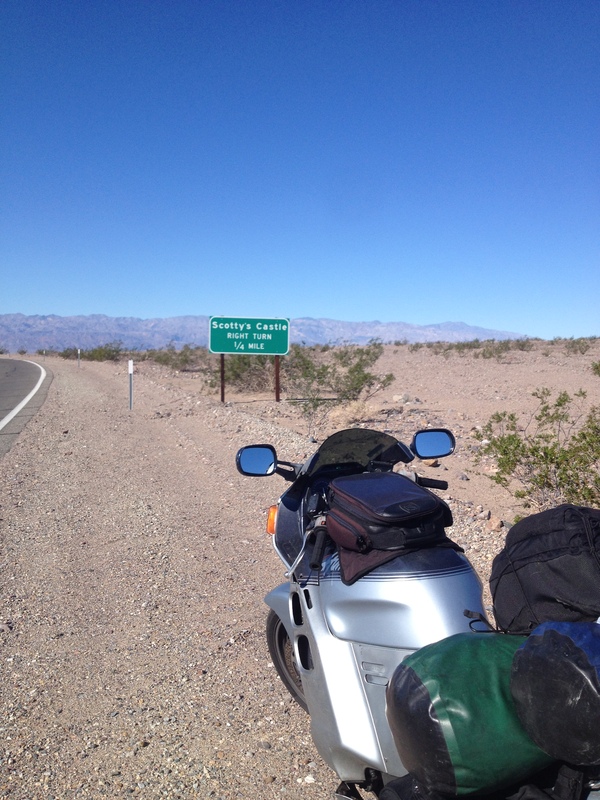 As I rode through the mountains and into Death Valley, temperatures rose, but the day was so chilly that I had to stop in Furnace Creek for warmth and food. The previous couple of days were a bit challenging. I’d left Sedona, AZ on Monday, the 9th after having lunch with a couple I know from Oakland. It was bright and chilly, and I wanted to make it down from the San Francisco Peaks mountain range before it got too late in the day. I managed to do that and rode until around 7:00 with a few stops to warm up. My gloves were no longer waterproof or wind proof and I was wearing cloth gloves as liners to keep me somewhat warmer. 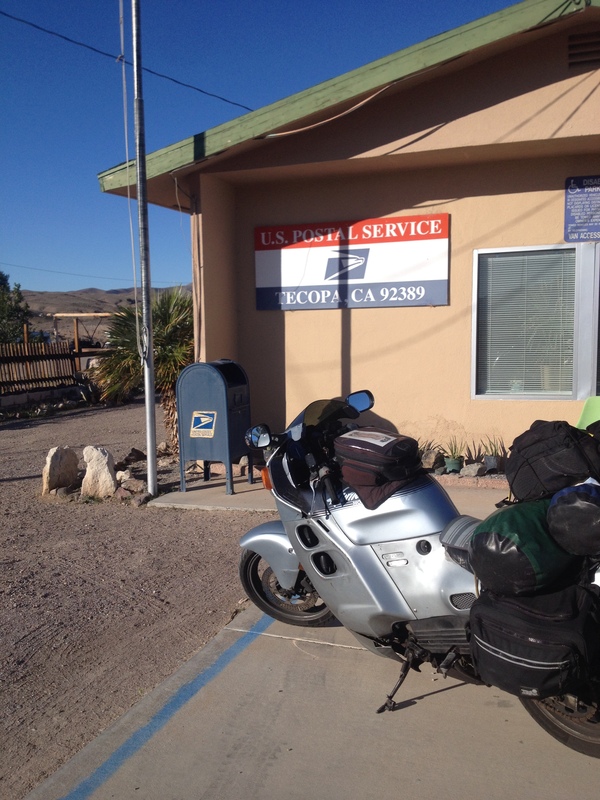 Around 7:00 I stopped at the Tecopa school district building to check my map and see how far I still had to travel. It could have been around the next bend, or 10 miles away, I didn’t know. The building has street lights so I felt safe stopping in the parking lot to check my phone. As I started off, the bike died. And when I tried to restart it, the battery went completely dead and I was left without power of any kind. Because this had happened three previous times on the trip, I was familiar with the symptoms and possible cure. I pulled all my gear off to get under the seat and to the battery. I checked the wires to the main fuse block and the fuse itself. All was in order, so I then checked the battery. It was hot to the touch. Not warm or neutral as it should be, but hot. This meant that the battery was fried from too much voltage returning to it after the alternator created electricity. No car had come by in 10 minutes and I didn’t know how long it might be for the next one. I was tired and didn’t think it wise to leave the light. If someone was going to pick me up, it would be better to stand under the street light and be visible. I said I’d start walking if a car didn’t come by in 20 minutes. Around 17 minutes into it, two cars passed me traveling in the opposite direction. I waved my cap slowly like a train signalman to get their attention. They pulled into the parking lot and were happy to take me to the motel. Brad drove his wife and friend back home just around the corner. His friend was in the second car and didn’t know the area in the dark. When Brad picked me up we had a nice discussion and got along so I asked if he hired out as a taxi. He said he’d take me the 30 miles to O’Reilly’s and get a replacement battery the next day. True to his word, we met up in the morning and the four of us wandered northeast to Parhump, NV to replace the burned up battery. I was happy that the new battery fit and worked properly, so I relaxed a little and sat in the hot tubs supplied as part of the motel fee. My neck hurt quite a bit from crouching down behind the windshield so I splurged and got a massage after a hot tub soak. This made me much more relaxed. After a slow night of relaxation and further dips, I got up at 4:00 a.m. for a final soak. I wrote some and organized myself for the penultimate day’s ride through Death Valley. I wrote a few postcards and headed to the Post Office at 8:00 a.m. to send them on their way on Wednesday, Veteran’s Day. Death Valley is beautiful and when it’s chilly rather than boiling hot, it’s a refreshing (if cold) experience. I was set to meet a buddy at Big Pine, CA at noon. I made it to Lone Pine, some 40 miles south, around 12:15. We connected and rather than travel north, I was able to rest and warm up while he ate and headed south. The roads were icy on Hwy 50 and that meant all passes across the Sierra were icy. The only thing to do was travel south to cut across Hwy 178 past Lake Isabella. Those canyons are quite beautiful, but cold on this wintery day. We managed to hit the last canyon after the sun was low enough to be hidden by the mountains. But it wasn’t yet dark, so the temperature hadn’t plunged to freezing yet. We gassed up and headed north on Hwy 99 out of Bakersfield and rode for almost another hour before stopping for Mexican food. The meal was welcome and put a little heat in us, so that we could continue on to Elk Grove where Rob lives. We made it there by 10:30. I’d started at 8:00 that morning and was thoroughly exhausted by the 660 mile ride that day. Thursday I got up and had a great breakfast, then rolled into my shop in Oakland around 1:00 p.m. 98 days from when i left. There are still many more stories to tell about the books and people I met along the way. And now that I’m back, I can organize my thoughts and continue the narrative. The trip was quite successful and has energized me with both research questions and artistic ideas. I will be going back out on the road in the Spring next year to go to libraries I didn’t visit this trip. Weather dictated that I miss Boston and Rochester, so they’ll be a particular focus on my next trip and I got sick in NYC and had to cancel trips to Philadelphia area libraries. Because I found many more things to look at than time allowed, I’ll be revising a number of libraries from the first visit. Therefore, Motoscribendi will continue. I’ll be doing research on how to prepare and present the database. I’ve learned a few things that should help make it a more open and useful tool than I first envisioned. That work will continue and I welcome input as to how best to do it.